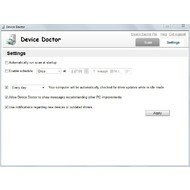 Device Doctor is a simple program with very useful functions. You don’t need to worry about old versions of system drivers. The program will solve updating problem. 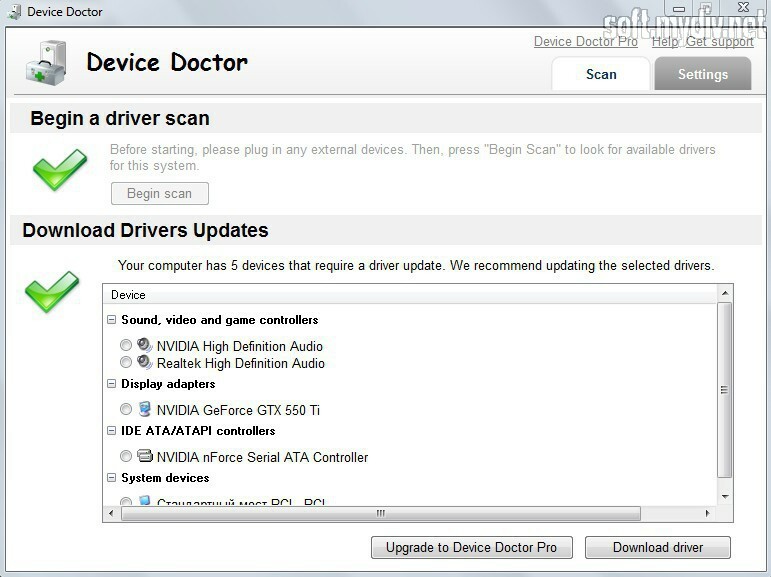 To update old drivers, you should start scanning by ‘Begin Scan’ button. Scanning process doesn’t take a long time. 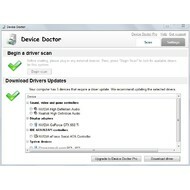 Then a user can choose drivers' device for updating. 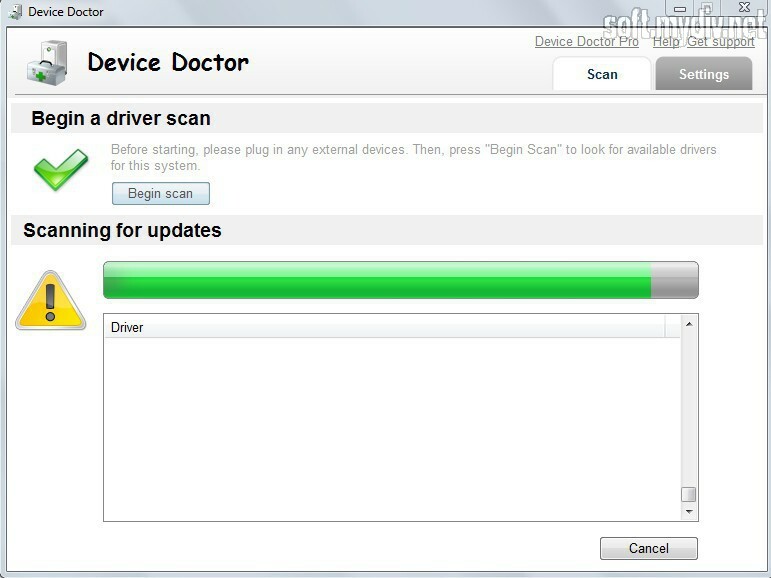 The utility will give you a link, where you can download driver’s installer. 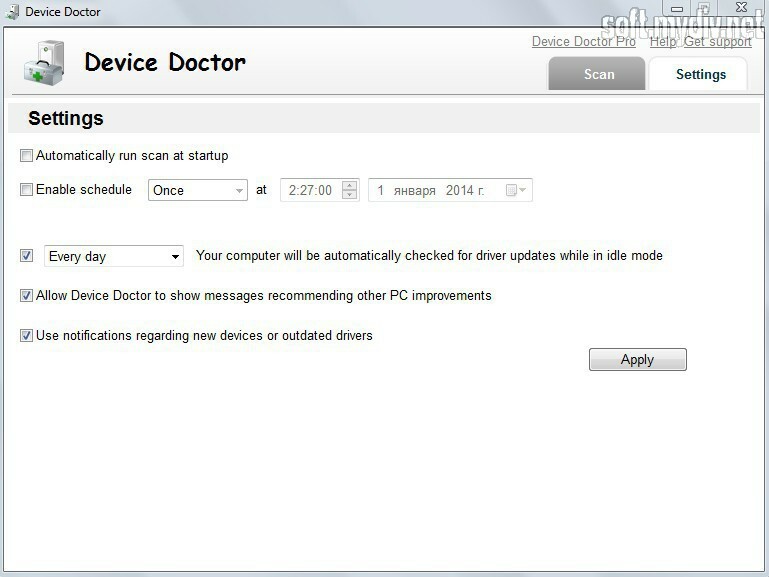 Device Doctor allows transferring results of scanning to another PC. The program (scanning mode) works without Internet connection. If you want to download a new version of a driver, you should have the network connection. There is no restoration mechanism. So, you should make a copy of your system data before driver updating. 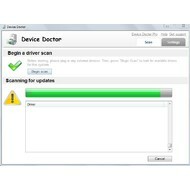 Device Doctor’s interface consists only 4 buttons: Scan, Settings, Device Doctor Pro, Get support and Help. In Settings, a user can set up schedule and notifications. Help and Get support taps will redirect you to official site and forum. The program will automatically update driver’s base during every launch session. 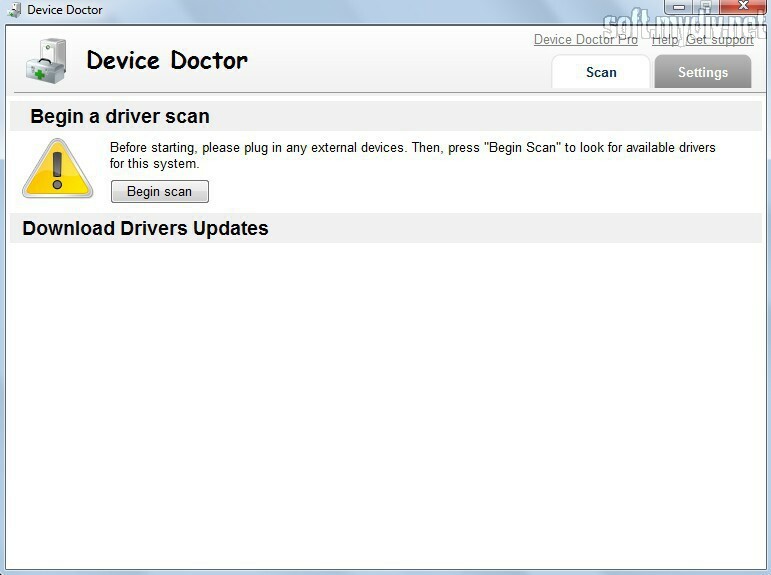 Besides, every driver tests for compatibility with user’s device. You can also update WHQL and non-WHQL drivers. To resume, the program is really good for those who don't want to think about system driver updating or getting new ones. It’s a simple and universal solution if you need a driver for an old video card or another computing device. Developers are always trying to improve utility’s performance. Users’feedback would help them with it. 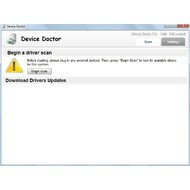 And now Device Doctor provides access to global base with more than 13 million drivers in it. 10 MB of free space on HDD. 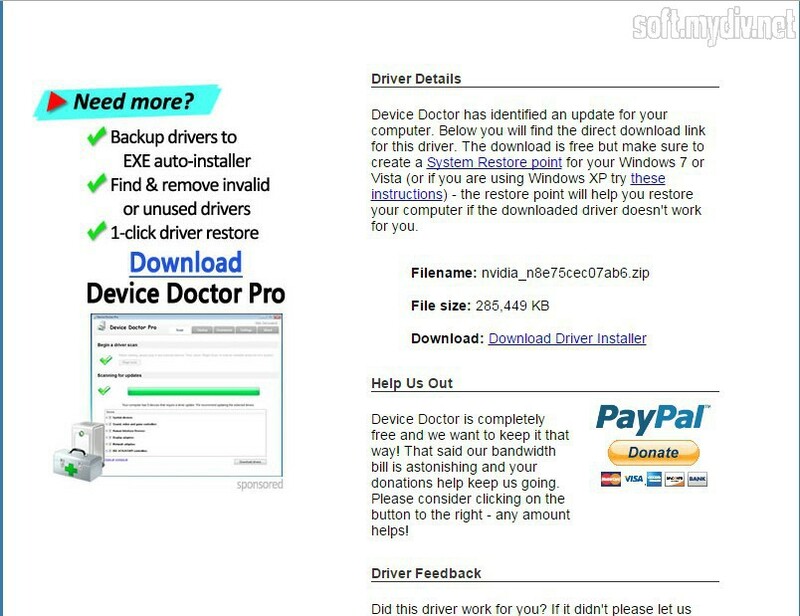 The collection of utilities that can help you to update your system drivers.